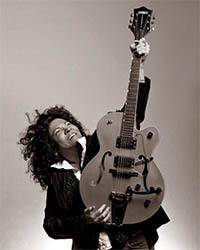 Juno winning Canadian music icon Rita Chiarelli is famous for thrilling audiences across the world as ‘Canada’s Blues Queen’. Chiarelli’s latest concert show has her wowing audiences with her all-star bluesy R&B band, Sweet Loretta. Together, Rita Chiarelli and Sweet Loretta have brought crowds to their feet with an exciting stage show and stellar musicianship. It’s a show not to miss!